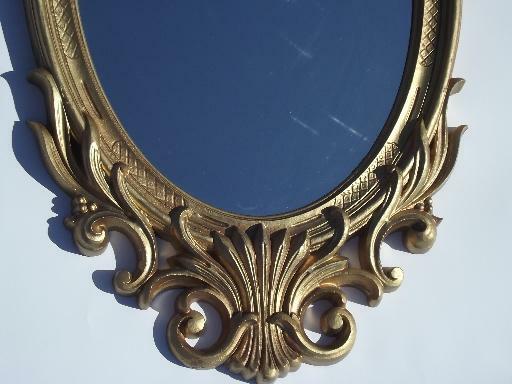 vintage ornate gold plastic frame mirror fit for a queen or fairy princess! 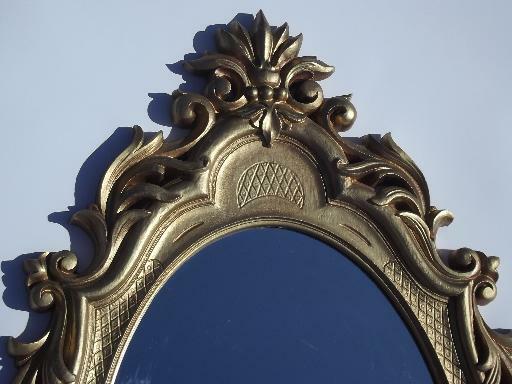 Cinderella style 'antique gold' plastic framed mirror, not marked that we could see - Dart or Homco? 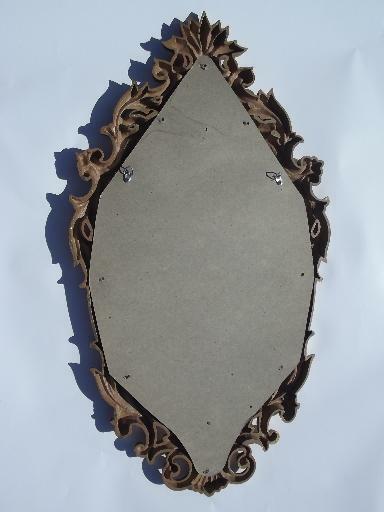 It's 33 1/2" x 19" overall, glass mirror is about 18" x 13". The gold frame looks very good, though the cardboard backing material is a little water spotted. 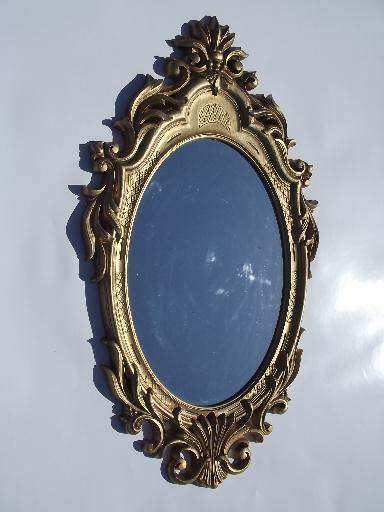 The mirror is clear and bright, those are just our smudged fingerprints (sorry!) showing in the photos, not spots.